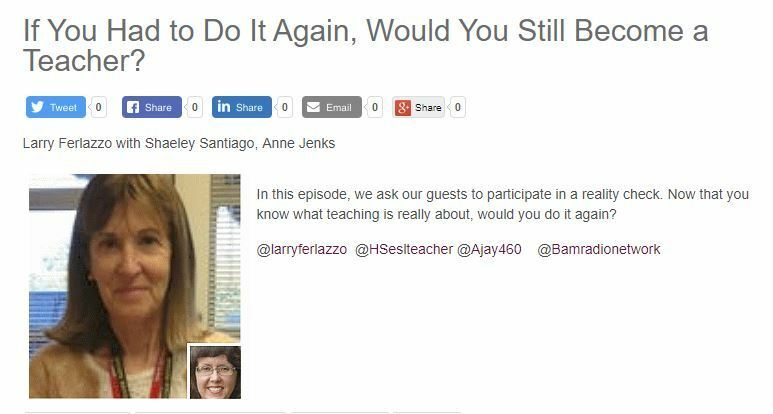 If You Had to Do It Again, Would You Still Become a Teacher? is the topic of my latest ten-minute BAM! Radio Show. I’m joined in the discussion by Shaeley Santiago and Anne Jenks, who have also contributed written commentaries to my Education Week Teacher column. NextALL Student Reproducibles From Our New Book Are Now Available To Everybody!